Career Development Plan - Is a ballet career possible? My name is Anna and I live in a small town in central Florida. I am 18 years old and I dance at a local dance studio named Jeanne Benson Dance Academy. It's a wonderful dance studio but it is rather small. I've been dancing ever since I was around 5 years old and I've grown to love it so much. I dance practically every day taking classical ballet and modern classes and rehearsing for ballet performances as well. I have been dancing on pointe since I was 12. I am a member of the studio's company: Marion Ballet Theatre. It's a small company with ppl of ages 7-18. We do Nutcracker and annual spring performances. I would love to seek a career in the ballet world. I've always dreamed to be a professional ballet dancer. My ballet teacher thinks that I have great potential and I do also. I really want to enter the ballet world. However, I am extremely discouraged because I know that most professional ballerinas come from well-known ballet academies such as School of American Ballet or Houston Ballet School. I, on the other hand,come from a small dance studio and have not had much professional training. I have attended Summer Intensives: Orlando Ballet, Joffrey Ballet, and American Academy of Ballet. I've learned so much from those intensives. I love ballet tremendously and I really want to join a company. But, I feel that I am not at the level of other girls that have trained at those prestige ballet schools. Thus, I am at a disadvantage. Also, I do not have the perfect ballet body, being 5'2", don't have extremely long legs and crazy arched feet. But I do have an adequate body. I am very fearful that I will not be able to be accepted into a ballet company because I have not been trained by professional schools. Is a career in ballet possible for me? To:- Career Development Plan - Is a ballet career possible? Thank you for contacting me, I'm glad to hear from you. 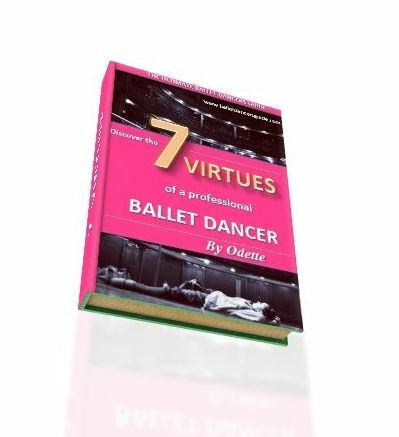 It sounds like you are at a very good stage for someone wanting to pursue a ballet career. You have done all that you can and I can tell you have the right, mature attitude for what this profession takes. Which is why, I can also understand your doubts and questions for a ballet career. I know there is a lot of competition of young dancers coming from the top ballet schools, but it doesn't always give them such an advantage that they find a job easily. In my year at school, a lot of my friends struggled to find a place in a ballet company despite their 8 years of top training. It will definitely go in your favour having attended all those prestigious summer intensives, as well as being with a studio company for experience. These are factors you must write on your CV to build up your profile and recognition. I am not saying a career is definitely possible, as even some of the talented young dancers never know if they will make it. Ballet is a very tough profession, but the more you can put yourself out there the better. Your height is an aspect that varies hugely in ballet, so don't worry about this too much. It is out of your control and depends a lot on which ballet company and what the director is looking for at that time. Especially a lot of young dancers worry so much about having the right physique, but when you see professionals you will notice they are individual with different heights and shapes. There is not one perfect body over the others. Have a look at Misty Copeland who is a top ballet dancer in American Ballet Theatre and studied mainly at smaller studios herself. You will find her story very inspiring.